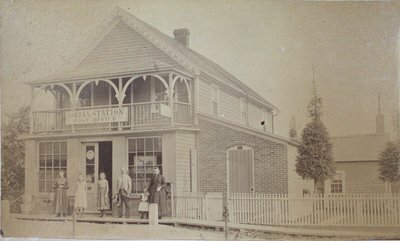 A photograph of the post office, Jordan Station Ontario. c1900. Photograph is mounted on cardboard.